This is to foster the strong and close community among pharmacists at Wisma MPS, and also as gratitude to those who has been supporting our beloved society. All pharmacists and well-wishers are welcomed to join and celebrate this festive season with us. Personal contributions by individuals are being received to make it an enjoyable event. Companies may also contribute in whatever they can be it cash or in kind. About 300 guests are expected to join in the celebration. 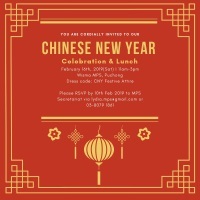 Kindly RSVP by 10th February 2019 with the RSVP / Contribution form. All members are reminded to renew their 2019 membership by payment of their membership fees as soon as possible. Non-members (all registered pharmacists, PRP, and post-graduate) are also encouraged to join as member as early in the year as possible. *This redemption is only valid until 31st May 2019 or while stock last. Note that stocks may be fully redeemed even before May so please renew or join early. Registration fees is RM730 for all the sessions inclusive of the Annual Dinner. However there is a RM200 discount for the first 500 participants (MPS member only). Various fees are available for day registration, post-graduate and student, member and non-member. Check out the early bird fees. 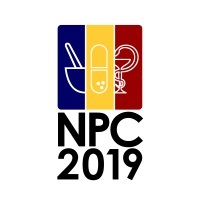 The Malaysian Pharmaceutical Society (MPS) would like to express its surprise and shock that the national association was not engaged nor consulted in the establishment of two vital healthcare schemes, namely mySalam and the Peka B40 for the lower-income group in Malaysia. MPS believes that this is a gross oversight and needs to be addressed immediately.